When Commonwealth Heads of Government meet in Trinidad in November, they might have expected to welcome back to their councils a government of Fiji that had been elected in March. As it turns out, there will be no Fiji in Trinidad. If a contest was held to choose a country with a Culture of Coup d’états, the Pacific Island-State would be a front runner. There were two Coups in 1987, a third in 2000 and a fourth in December 2006. Now, come September 1, the 53-nation Commonwealth (formerly the British Commonwealth) is expected to suspend Fiji from its membership. The suspension will come after almost three years of trying every diplomatic and negotiating device to convince the military government of Commodore Frank Bainimarama to restore the country to democratic rule. A consistent figure in the last two Coups, Bainimarama has shown a remarkable failure to honour commitments he gives to the international community. 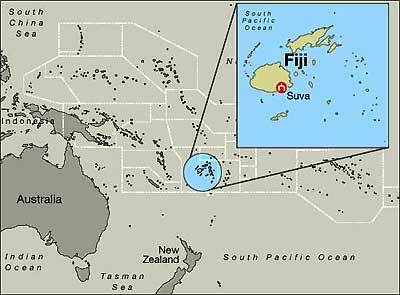 Fiji is made up of a group of islands in the Pacific and has a population of 872,000 people consisting of indigenous Fijians, indigenous Rotumans and Banabans, Indo-Fijians, Chinese, Europeans (mostly Australians and New Zealanders) and people of mixed race. The 1987 coup and the abrogation of the 1970 Constitution led to a new Constitution in 1997 which contained a social compact among all the Political Parties, provided for affirmative action for indigenous Fijians, gave indigenous Fijians the majority of communal seats in the elected House of Assembly and a near two thirds majority in the appointed Senate. It also provided for Shared Governance and settled tensions between the indigenous Fijians and the Indo-Fijians. Bainimarama’s 2006 Coup had nothing to do with racial differences in Fiji and much more to do with controversies between him and the then Prime Minister, Laisinea Qarase, who was threatening to arrest Bainimarama and others for their part in the Coup of 2000. The Commonwealth has patiently engaged Fiji since the 2006 Coup. The previous and current Commonwealth Secretaries-General, Don McKinnon and Kamalesh Sharma, as well as the organisation’s watchdog body - the Commonwealth Ministerial Action Group (CMAG) - have engaged the military regime and other groups in Fiji to try to restore democracy. While the Commonwealth did suspend Fiji from the councils of the Commonwealth after the 2006 Coup, it did not suspend it from membership of the grouping. Along with the Pacific Islands Forum (Fiji and its closest neighbours), the United Nations and other bodies, the Commonwealth has been working to persuade Bainimarama to hold elections by March this year – an undertaking that he had given. But March came and went, and in April the government abrogated the Constitution, further entrenched authoritarian rule, cracked down on freedom of speech and assembly, and undermined the judiciary and legal system. Bainimarama also scrapped the paramount Fijian institution, the prestigious Great Council of Chiefs which selects the President and Vice-President. It is widely believed that he did so because the Chiefs did not rally to him. He also prevented the dominant Methodist Church from holding its annual convention demanding that it must first be cleansed of political clergymen. Making matters worse, Bainimarama issued a “Strategic Framework for Change” which he described as "the only path to ensuring sustainable and true democracy, the removal of communal representation and the implementation of equal suffrage based on common and equal citizenry". Under this plan, work will begin on a new Constitution in 2011 and elections would not he held until 2014. CMAG, which had shown considerable patience with the Fijian regime up to that point, finally decided enough was enough. Among its nine members is the Foreign Minister of St Lucia, Rufus Bousquet. Together, the ministers, meeting on July 31, gave the Fijian regime until September 1 to “reactivate the President's Political Dialogue Forum process, facilitated by the Commonwealth and the United Nations”. The Group said it wanted the regime to “state its firm commitment” to reactivating the political dialogue “in writing” to the Commonwealth Secretary-General by September 1 or “Fiji will be fully suspended on that date”. No one is holding their breath that such a written commitment will be forthcoming from Bainimarama. His government has already condemned Fiji’s neighbours in the Pacific Islands Forum for expressing, in early August, “their deep concern for the people of Fiji in the face of Fiji’s deteriorating economy as a consequence of the military regime’s actions, including the undermining of the private sector and the negative effect on business confidence in the absence of the rule of law”. Seeking any opportunity to delay the Commonwealth’s suspension of Fiji from membership, he despatched a letter on August 5th to the Commonwealth Secretary-General requesting him “to facilitate a delegation from the Commonwealth to visit Fiji to enter into direct dialogue and consultations”. The invitation can hardly be taken seriously against the background of Bainimarama’s actions in abrogating the constitution, imposing media controls, restricting freedom of assembly, and the ongoing erosion of the judicial and legal system. It is even less credible in the context of his complete abandonment of the President's Political Dialogue Forum which was promoted by both the UN and the Commonwealth. It is clear that Bainimarama’s invitation is not in good faith and his game is to do nothing more than prolong still further a process that has already dragged on for almost three years. In this connection, CMAG has no choice but to suspend Fiji from membership of the Commonwealth on September 1. But, in the Commonwealth way, that will not be the end of the matter. For as Secretary-General Sharma told the Pacific Forum meeting, “it will remain my intent, on behalf of all Commonwealth members, to find ways to remain engaged, to promote dialogue with the current government there, and to promote dialogue between all the parties in Fiji who collectively hold the solution for the future and without all of whom a solution cannot be sustainable”. Suspension of Fiji after almost three years of trying to reason with the military regime is necessary punishment now; but engagement is also necessary to give back to all the people of Fiji their right to democracy, constitutionality and the rule of law.